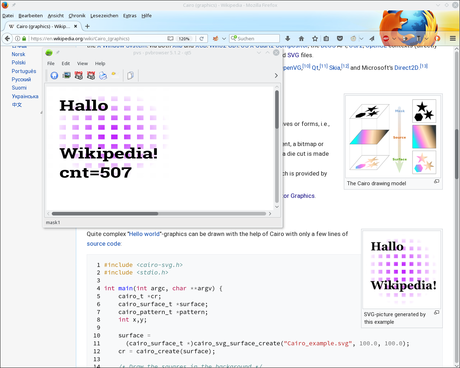 In Wikipedia we find an example howto use libcairo. 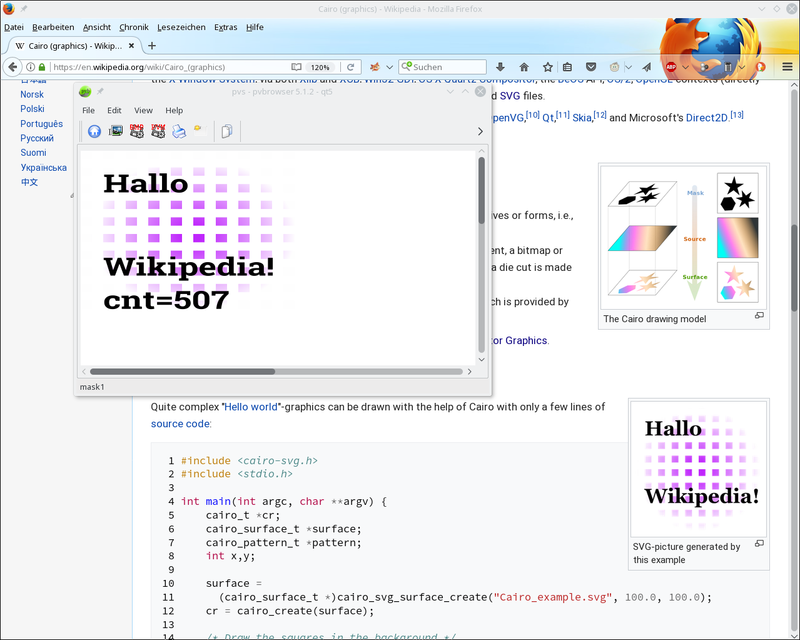 Here we show howto use it within pvbrowser. 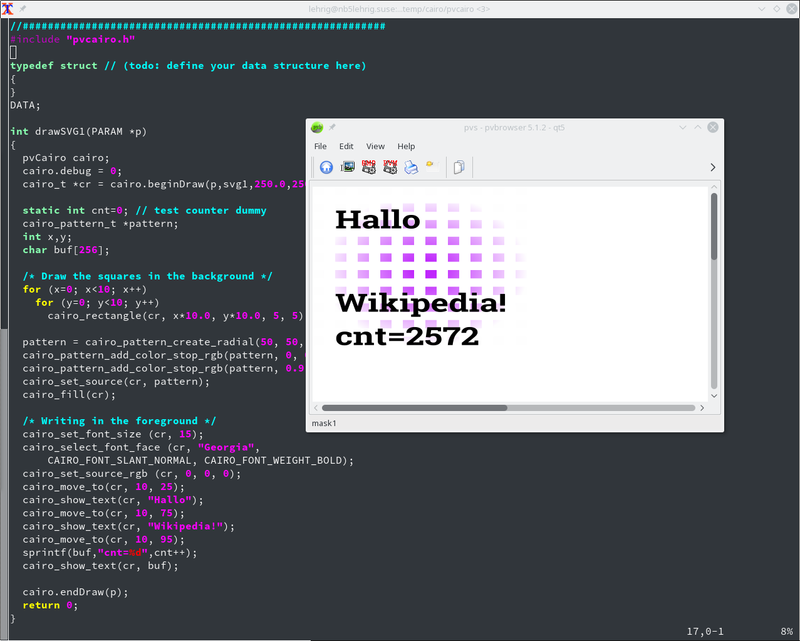 Please have a look on the sourcecode of the example pvserver. Here you find some documentation .